There can be no city branding without citizens and no destination branding without residents. From afar, city and destination branding often looks like Italian lasagna. As district, city, province, region, country and private partner brands combine, their messages stack on top of one another in messy layers. When the layers don’t blend well, it can create a bad taste for everyone who experiences a place. Aside from the political environment of destination management, there are two important technical marketing reasons for this. 1) Place marketing is often created in reverse order. Marketers love to start with the big idea, the shiny ad or the amazing billboard. While the ideas are usually impressive, they often conflict with basic brand values. The assumption is that by hiring the right creative agency with the right message, the number of visitors or residents will increase as a result of the powerful campaign. This conflict is more common in place marketing than in any other type. Similarly, Zutphen, a city in the Netherlands, recently decided to market their destination as a chocolate capital; however, Belgium and Switzerland, with their well-established histories of chocolate-making, may rightfully object! Each of these campaigns promote interesting ideas that fail to take into account the context of the places they represent. 2) Effective place marketing must involve the residents. They are a key ingredient of a destination’s product. In contrast to destinations, retail marketers can introduce new products by testing them with samples. Consider cookies, for example. If the first batch of cookies is not as successful as it could be, the company will recall the product and improve the recipe. New tastings will follow, market research will be refined, and a test panel will choose new colours, a new logo or new name. Place marketers do not have this luxury. Before they can change their product, they first have to ask the cookies (their residents) for permission. A city cannot simply recall its destination and adjust the recipe, and it cannot be reintroduced to the public like other products. As such, a strong place brand requires continuity and consistency over time to be successful. Though many newly installed governments request re-branding with new colours, new fonts and catchy slogans, a newer, flashier logo cannot truly improve the product. For instance, the city of Duisburg, Germany has a lot to offer as a place of heritage, but its image was unfortunately tainted when things went horribly wrong during the 2010 Love Parade music festival disaster and 21 people died. The city lacked experience in organizing events of this size and failed to adequately prepare for the large numbers of concert-goers. The planners even ignored the warnings and concerns officials voiced about the danger of hosting the event. In this case, the moneymaking opportunities may have outweighed the desire to protect a lasting reputation. 1) Every type of place marketing should incorporate a Place DNA™ test. What gives a destination its soul or sense of place? While there may not be a consistently accepted definition, the DNA is a specific, distinctive feature that makes a destination or place unique. This could be anything from architecture, to the environment, to cultural practices or something in between. Destinations have reasons for their existence, whether historic or economic, and you can use these to uncover what makes its residents and visitors tick today. This type of Place DNA™ exercise is often discounted as time-consuming or esoteric, but this question of purpose is essential to shaping a strong brand. 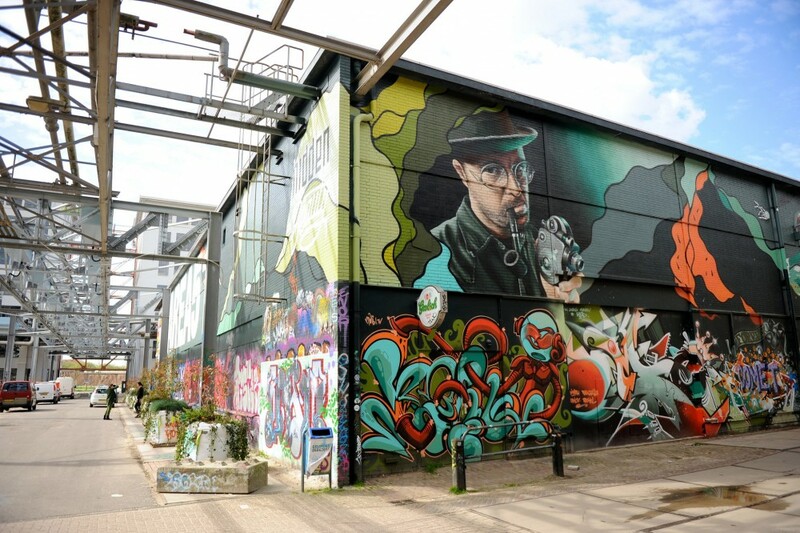 One city that has used its DNA to create a strong place brand is Eindhoven, Netherlands. The city doesn’t try to compete with neighbouring destinations like Amsterdam or Antwerp for spectacular landmarks or architecture. Instead, Eindhoven’s popularity among visitors, organizations and inhabitants is supported by its unique consistency in communications (both offline and online), which reflects the city’s DNA. Its identity incorporates technology, innovations and know-how. By integrating the city’s product and communications, Peter Kentie, Managing Director at Eindhoven365, has been able to synthesize place-making and place marketing. 2) A place brand must be built from the inside. What is your region’s or city’s role in the bigger picture? What’s its role in the world? The inability to answer these questions indicates a problem, because if you don’t know the answers, then your residents may not either. You must use the identity of place, defined by its DNA, to seamlessly align communication with the outside world. The clearer the place brand is in relation to that DNA, the more credible the messaging will be. Inhabitants play a crucial role in creating a credible place brand, and visitors will see their behaviour as an authentic extension of it when they visit. Cleveland, Ohio knows exactly how this works. Their “A Cleveland Anthem” campaign presents them as an outsider among American cities, stating that “Cleveland has never followed anyone else’s rules, we made our own.” This sense of stubbornness and grit has become an authentic expression of their destination that will attract and retain visitors. Finally, place marketing requires aligning behaviour with the brand. It’s necessary to walk the talk and demonstrate true value while communicating what you have to offer. There can be no city branding without citizens and no destination branding without residents. A brand should be authentic and truthful, and it should align with residents and businesses so that it can serve as a catalyst for storytelling rather than an obstruction. I think the challenge exists when one (or perhaps many) tourist attractions overwhelm the surrounding community (think: Disneyland – everyone knows where that is, Anaheim, not so much). In your example of Cleveland, I might be very interested in going to the Rock and Roll Hall of Fame and taking in a couple of Indians games on a three day weekend, but Cleveland itself isn’t necessarily the draw. Even here in North Vancouver, Grouse Mountain and the Capilano Suspension Bridge are really the only touch points that a tourist might have with North Vancouver, and indeed feel that they are simply part of their vacation to “Vancouver.” In these cases, the DMOs play second fiddle to major attractions that likely have far greater budgets to brand their particular tourism product. Finally, and I think we are seeing this in some World Cities (Vancouver, London, Paris, Barcelona, New York) a particular weariness of their residents, who often see tourists in the Global One Percent and believe that they are mere serfs, even if they are not directly employed in the tourism business. Local residents in cities where AirBnB has driven down rental stock to less than one percent would be an example of this. These people cannot enjoy their own city due to the burden on services etc that tourism places up it.